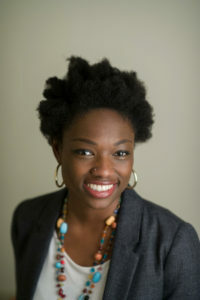 Ms. Tappin serves HRiA as Manager of Community Organizing & Communications. In this role, she works with neighborhood coalitions to improve their overall functioning and with other community groups to develop coalition capacity in new neighborhoods, including the North Dorchester Coalition, which she coordinates. In 2014, Ms. Tappin presented Addressing Health Inequities in Communities of Color Through Multi-Ethnic, Cross-Neighborhood Coalition Building at the American Public Health Association’s 142nd Annual Meeting & Expo. Prior to joining HRiA, Ms. Tappin worked in Hartford, CT empowering youth and residents around public safety concerns, housing issues and clean neighborhood initiatives, as well as been an advocate for equity in education and LGBT rights. She has a Master in Social Work from the University of Connecticut School of Social Work.